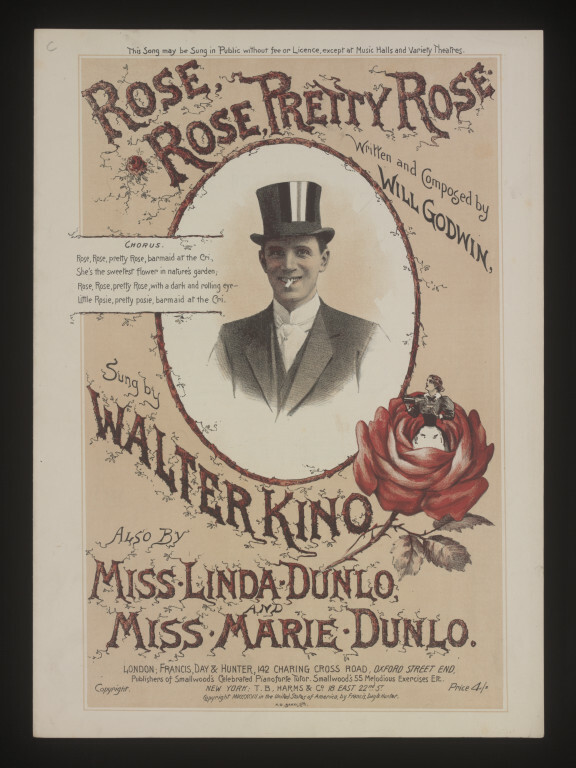 Walter Kino is a music-hall name I don’t come across very often. Maybe a couple of times this past year, and I can’t now even remember the context. 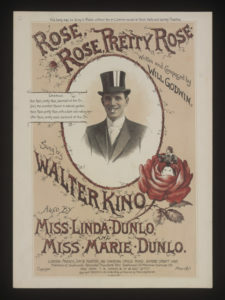 (And though I recall reading that ‘Kino’ was not his real name, I cannot remember what that name is). But today by chance I happened upon a song of his from 1899, lyrics below, with no vintage recording from that period but a passable rendition (link on bottom of this page) on a folk music site. Now, the other night I took my wife down to a Music Hall. And ever since that blooming night it has been her downfall. The fellow that played the trombone, he stole my wife that night. He really tickled her fancy with his rum-she-ra-ra-day. I stayed home and nursed the kids while him and her did shine. I’d smash his bloody instrument if I catched him playing a tune.